The Unitron Moxi All Rechargeable 600 hearing aid is the standard tech level device of the range with the latest platform programs and systems that gives the wearer the best conversation experiences. The Moxi All R is a made for all phone hearing aid that connects to iPhones and Android mobile phones via Bluetooth technology. 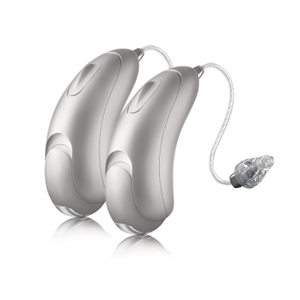 With the use of the silver-zinc rechargeable batteries together with the charging case and the specialised Unitron battery door, the hearing aid is capable or regenerating power supply that lasts for upto a whole day of use.